By now we’ve left the mountains of Colorado and are making our way back to the Finger Lakes region of New York for the Wine Bloggers Conference courtesy of Finger Lakes Wine Country. For how this adventure came about, click here. 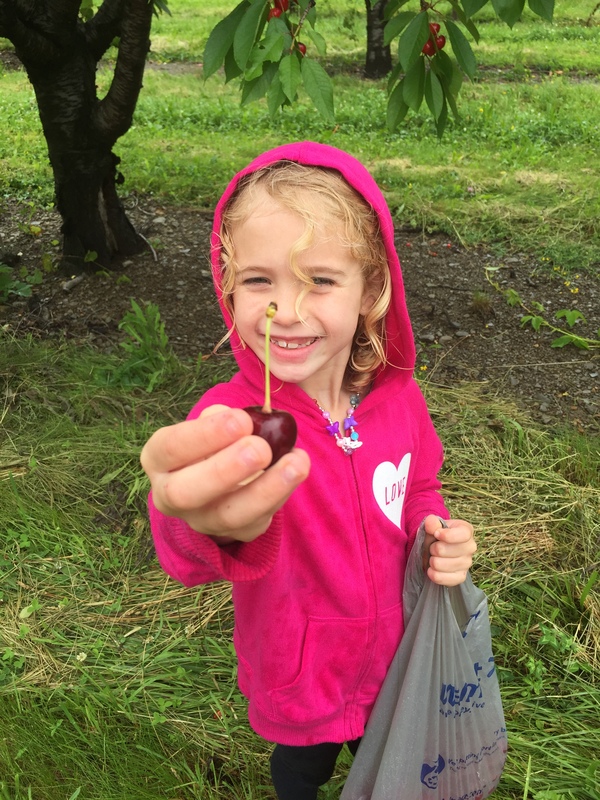 You may remember from that first post, that we had the opportunity to pick cherries at Sawmill Creek Vineyards. 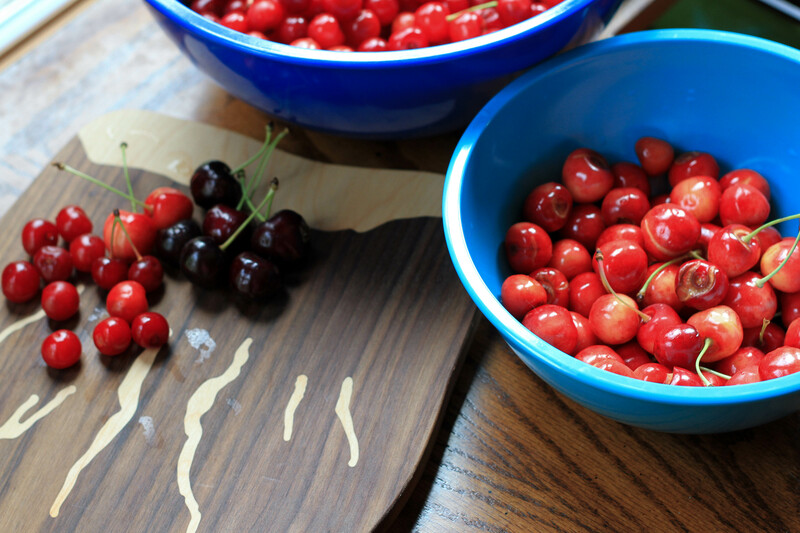 Well, in addition to the black cherries we used to make our Seared Scallops with Cherry Sauce, we also picked sweet white cherries. 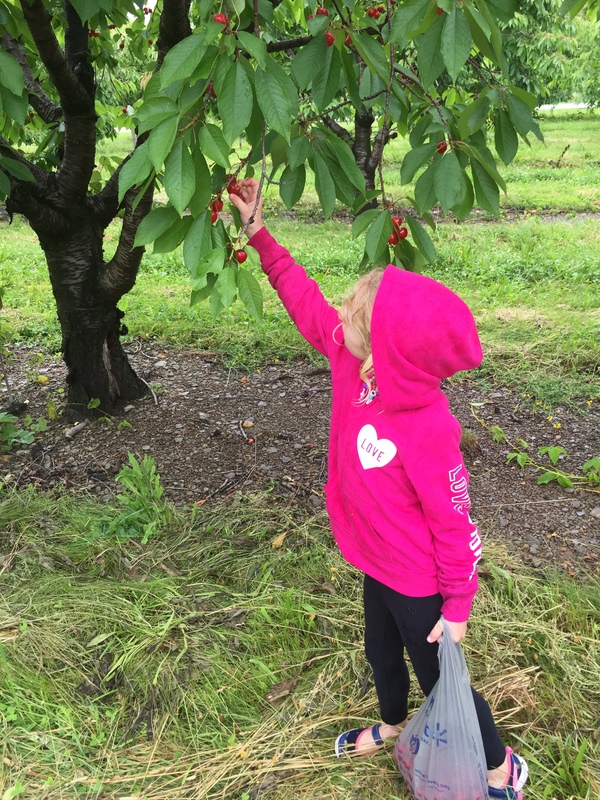 These were delicious and best eaten raw – just ask Miss A – but we also wanted to try them in a cherry pie. So we made a small pie, perfect for two to four people. This is really a very simple recipe with few ingredients. 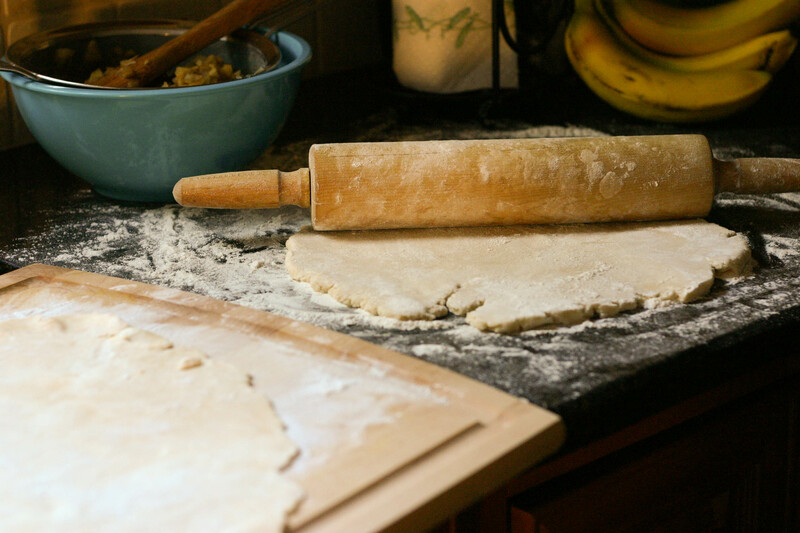 You can either use a prepared crust from the store to make it even easier, or make your own. Given my love of making pie crusts, I opted to make one. I made this double crust recipe and froze half of the dough for a future use. 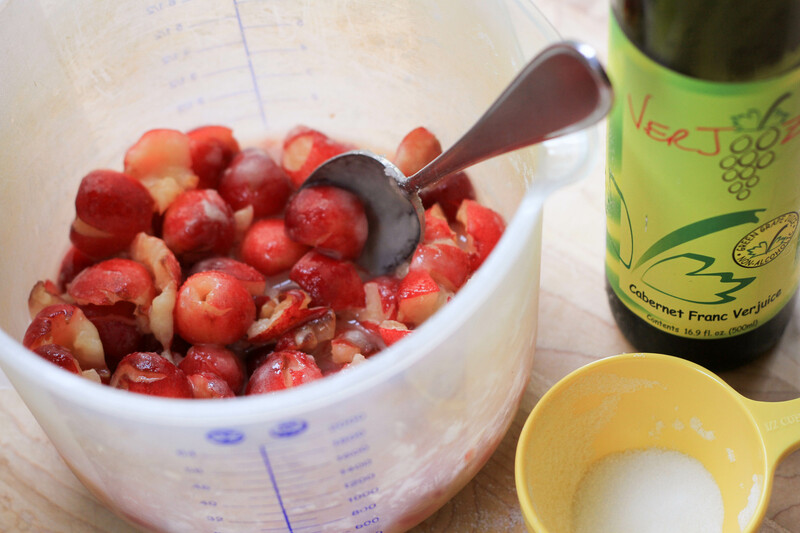 We then combined the cherries with a small amount of sugar, Verjooz (to add some sour flavor to the sweet cherries) and flour. We rolled the dough out, filled the pie and used a lattice pattern for the top crust. Then we rubbed a bit of butter over the crust and set the pie to bake at 375F. The pie baked for 45 minutes for a nice golden brown crust. The kids enjoyed their slices with milk poured over the top (much like they eat Grandma’s raspberry cobbler). Mike and I ate the pie straight, no milk (though ice cream would have been a fabulous addition). The cherries were delicious in the pie which garnered 10 spoons from Miss A, 4 from Mr. N, and 3 spoons from both Mike and I. While we all enjoyed the pie, we agreed that the sweet cherries were best eaten raw. They were just too perfect for popping. Now, as for the second part of our photo shoot adventure, Finger Lakes Wine Country brought the four of us back in June. They wanted to capture an actual tourist family experiencing all that the region has to offer. We spent two full days shooting at various locations, from wineries to state parks; and even though we’ve been to this area on several occasions, we had no idea all there was to do! 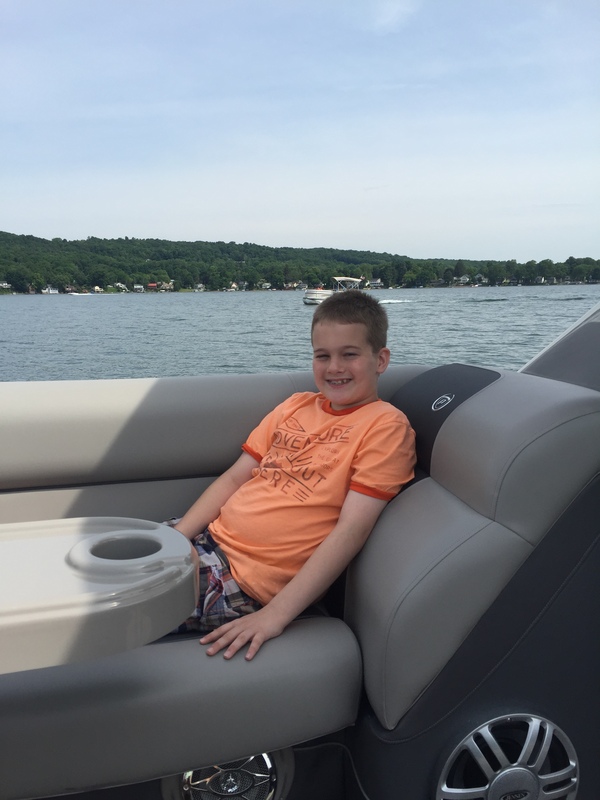 We started the day cruising Keuka Lake. Mike even took the wheel as captain, his first time driving a boat! 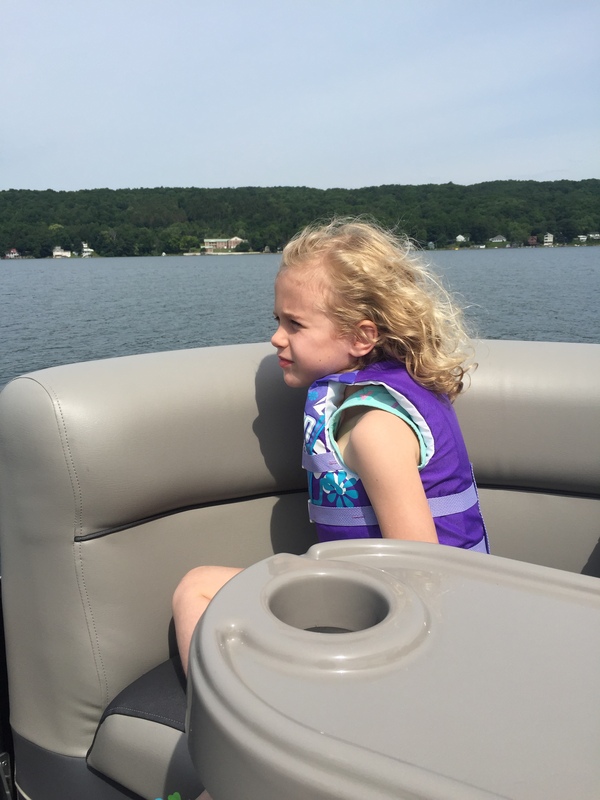 We also learned that you can get your boating license when you’re 10 years old in New York. Needless to say, Mr. N wants to get his license now. (I think a few of my hairs turned gray at the very thought!) Fortunately our trip wasn’t long enough for that! It was a whirlwind two-day adventure, but we enjoyed a taste of what the area has to offer including a visit with the wine maker at Glenora Wine Cellars, a stop at the docks in Watkins Glen, a walk under waterfalls in Watkins Glen State Park, a tour of the new modern exhibit at the Corning Museum of Glass, shopping on Market Street in Corning, New York, a visit to the Rockwell Museum, a walk through the Tanglewood Nature Center, and a visit to Mark Twain’s study. Needless to say, after teasers of these fantastic stops, we have a lot we want to revisit as we spend these last few days of summer break in the Finger Lakes. 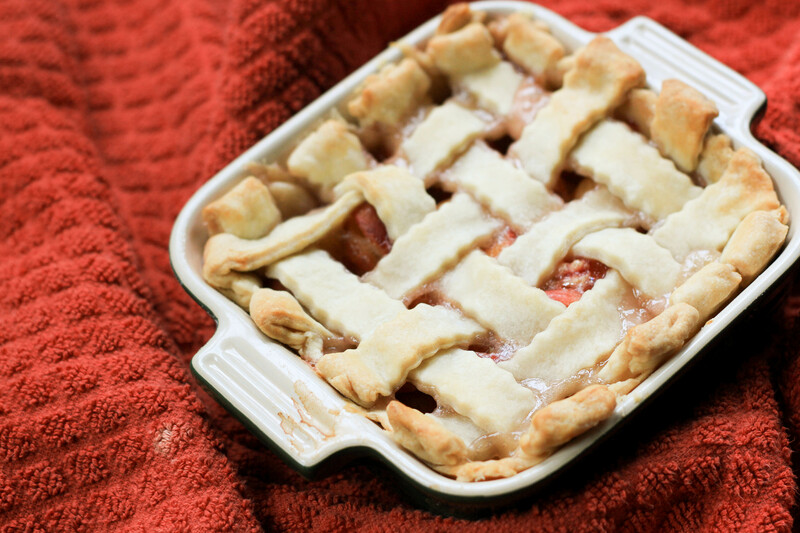 So until we return, we hope you’ll enjoy this super simple pie recipe. I know it’s full of sweet memories for us! What a fantastic family oriented opportunity, I too am looking forward to the real photos. Ice cream with my slice of pie please.. I think my son would give the pie 10 spoons too if he had a slice with a scoop of icecream! You and me both Sawsan! I can’t imagine Mr. N behind the wheel of anything yet; although I know the day is coming. (Sooner than I’d like.) This pie is definitely for those with a sweet tooth. 🙂 We’ll compare it with a sour cherry version soon. What a great adventure for the family, I’ve always wanted to visit the Finger Lakes. I can’t wait to see the results of the real photoshoot! 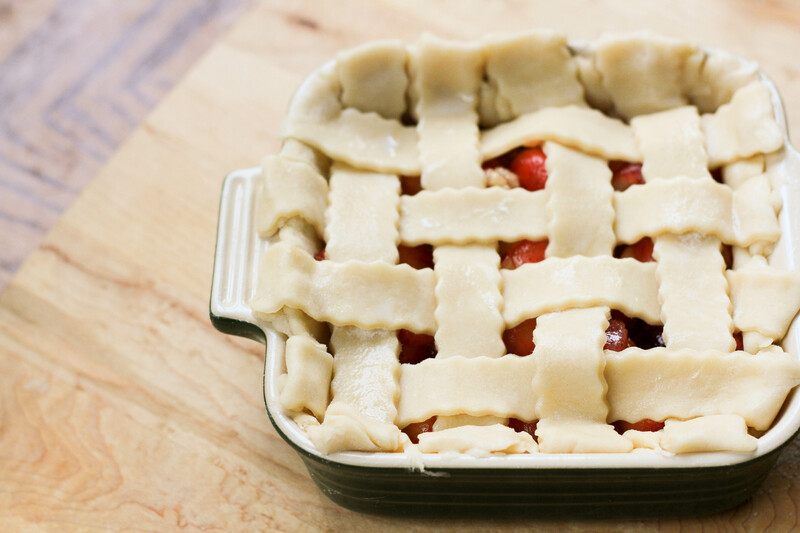 The pie looks delicious — you sure know how to make a serious pie pastry! I think both you and JT would enjoy a getaway in FLX Eva. We’re looking forward to seeing the photos too. The little teasers we saw were fabulous. Such great memories. 10 spoons, that looks like a really must try. I think you would likely love the pie Raymund! I love finger lakes wines! Us too! Some of our favorites!